The ice dancers were fantastic, especially the top four teams. It was special to have the competition in Detroit with so many of the top Americans training locally. Zachary Donohue and Madison Hubbell train at the Detroit Skating Club, while the Shibutanis and Davis and White train in Canton and attend the University of Michigan. Hubbell is tall for a skater at 5’7″, so the two can’t do the most acrobatic lifts, instead their program had great musicality and romance. They are boyfriend and girlfriend and the chemistry shows. The Shibutanis, Maia and Alex, skated to a medley of Michael Jackson songs with an energetic beginning and ending and and a lyrical middle section. The combination of songs worked really well, and they’d gone to Los Angeles to work with some of Michael Jackson’s choreographers to get the most authentic program possible. It showed guts to choose this music in an Olympic year when skaters tend to pick ‘safe’ classical music. Alex slipped off an edge and fell early in the program– afterward the two attributed it to Alex getting a little too excited about their new program. The slip didn’t really affect their elements and was easily forgotten as they moved on. They are smooth, detail-oriented skaters with great edges, and placed third. There are only two spots for the American ice dancers in Sochi, it’s too bad as I would love to see both the Shibutanis and Donohue and Hubbell there. We’ll see in January who gets to go. The Italians Anna Capellini and Lucca Lanotte skated such a light and playful program, it was a joy to watch them looking like they were having so much fun. Lucca especially is so theatrical. They had great synchronicity and twizzles. Their program was my second favorite after Davis and White, and they finished the competition in second place. 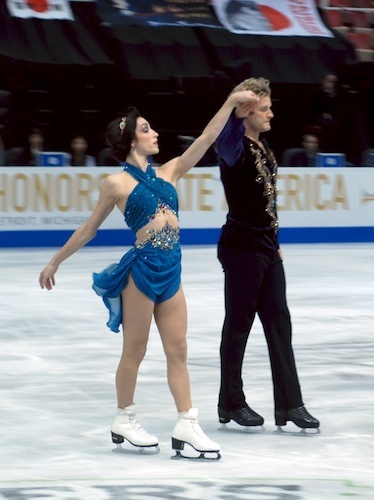 Last to skate and competing on ‘home’ ice in the Detroit area for the first time in many years: Meryl Davis and Charlie White. Skating here with so many locals excited to see them had to increase the pressure, but they laid it all out there as they always seem to do. You have to be there in person to really appreciate their speed: they’re faster than anyone else, whipping back and forth across the ice. There’s so much to admire: the intricacy of their choreography, the synchronicity and speed of their twizzles, the complexity of their lifts, requiring so much strength from both of them. There’s a reason they are the world champions. I’m dazzled, as was the crowd, who gave them a well-deserved standing ovation. They were the clear winners of this competition, with a great shot at the gold in Sochi. Sun Valley Skating Part I Sun Valley Ice Show August 23rd, and skating at Sun Valley. Skate America 2013, the Men’s Free Competition A report from the men's long program at Skate America in Detroit. Rose Program Reworked A reworked version of my rose program, skated for exhibition. 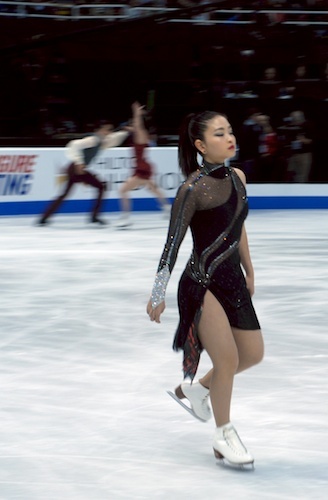 I love to watch figure skating. You all make it look so easy and graceful. Then the rest of us get out there… oh well. When is the next competition for you? I don’t know, Joanne, some time in the New Year. I don’t have a new program yet for this season, haven’t even picked out my music. Two of my adult skater friends have their music and their choreography done, so I feel behind. I’ve been spending all my skating time still working on my gold moves and trying to learn some new elements. I’m doing pre-axel work (actually getting the axel might take a year or two) and working on my camel spin. No word from the coach I’m working with on my moves about when they will be ready to test again. Not until the New Year for sure. I need to make them look easier :). This sounds like me! 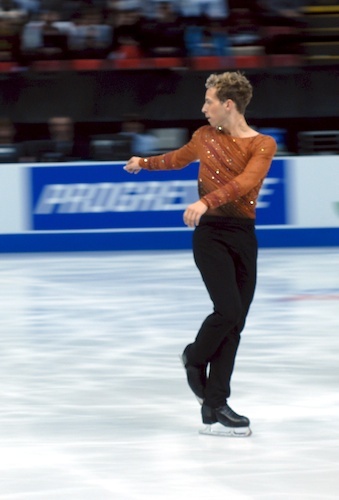 Gold moves, axel/pre-axel, and behind on getting a new program for this season! I finally gave my coach a CD with two pieces on it last week. Choosing music is so daunting! Yes, we are working on some similar stuff, though you are certainly way ahead of me on your axel! My husband and I cut some music over the weekend but I’m still not happy with it. I hope I get it to a point that I’m ready to bring it to my coach later this week. 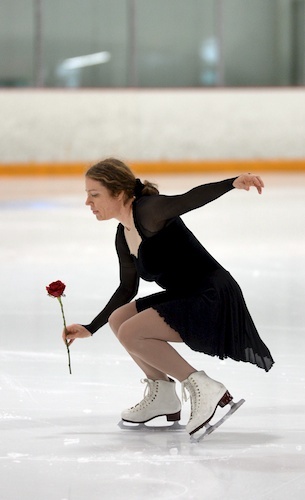 Ice dancing is so beautiful! I’m always so stunned by how easy and graceful they can make their movements look. I couldn’t imagine holding half of the poses on solid ground, much less on ice! It is amazing how they can make it look so easy, and how much work and strength and balance it takes to be able to make it look that way. 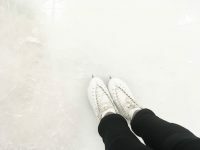 Ice skating is one of my favorite sports to watch during the Olympics. It must be exciting to watch in person. Sounds like you had a good time.